Taipei office is in charge of the markets of the north Taiwan. 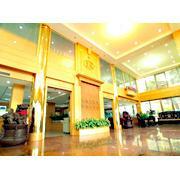 Taichung Harbor Branch is in charge of the overseas markets including the mainland China and other countries. 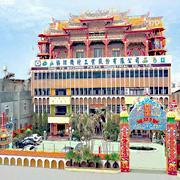 The Kaohsiung,Taiwan office is in charge of the interior markets of the south Taiwan. Shie Yu's distributor in USA. Main Products: THERMOPLASTIC PIPE, FITTINGS, REVERSE OSMOSIS SYSTEMS,UPVC JIS Pipe & Fitting, UPVC SCH80 Pipe & Fitting, CPVC JIS Pipe & Fitting, CPVC SCH80 Pipe & Fitting, ABS Pipe & fitting, PPH Pipe & Fitting, HD - PE Pipe & Fitting, PVDF Pipe & Fitting, HP - PVDF Pipe & Fitting, Reverse Osmosis Systems (R.O. Systems), Home Unit Reverse Osmosis Systems, Industrial / Commercial Reverse Osmosis Systems.